Wonderful album and contacting customer service was overall painless and very helpful. The initial copy I received had a torn inner sleeve but customer service helped me exchange the damaged product for a new one rather easily. Awesome album! Packaged correctly and delivered on time as promised. King Gizzard never stops twisting your brain like taffy. Sketches of Brunswick East is a nice dip in a warm pool with a cocktail in one hand and a bong in the other. Everything they put out so far this year jams but this record is on it's own groovy level by far. There are some hints of MOTU scattered throughout but this album holds it's own ground. I loved Paper Mache but this is mellow gold. I can't wait to see what the next record has in store for us. Buy this record now, it's a special treat. 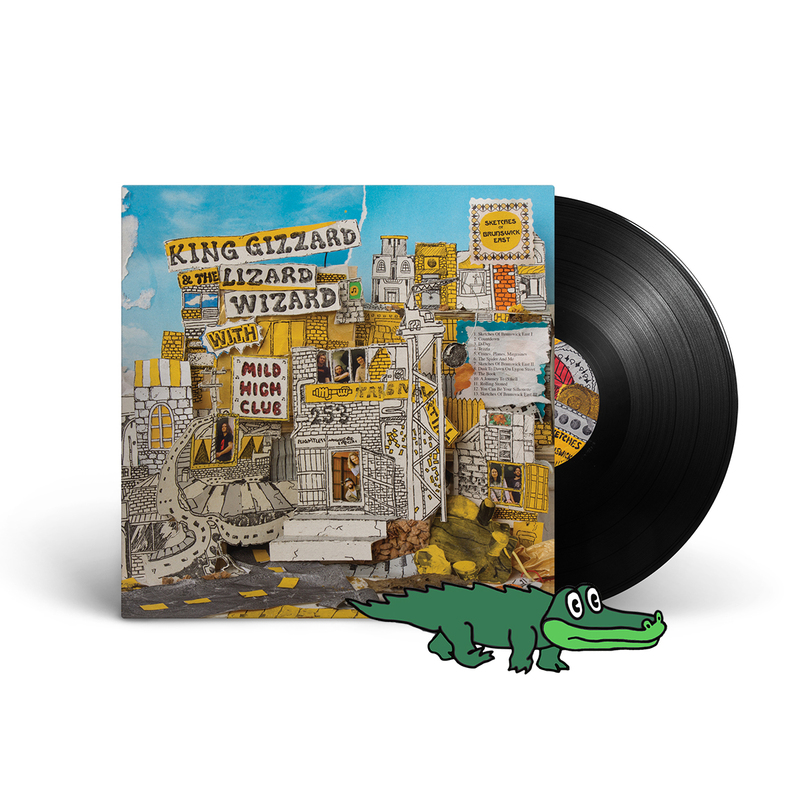 King Gizz can do no wrong. ATO forgot to include the promised gator sticker with my order but, oh well. Still a great record, this pressing is beautiful and sounds tasty on vinyl.